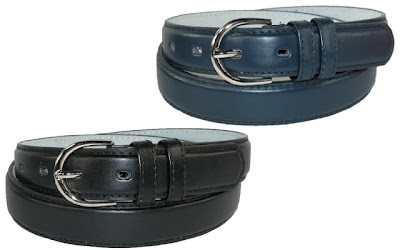 Genuine Leather Women's Dress Belt in Basic Colors - Just $2.99 Shipped! The Genuine Leather Women's Dress Belt (in Black, Navy, or White) by CTM is currently selling for just $2.99 on Amazon.com. What a great price on this women's belt deal! This belt is also available in Brown and Red, but prices will vary. Genuine Leather Women's Dress Belt in Basic Colors by CTM. This 1 1/8 inch wide women's belt is made of soft, genuine leather. It has two belt loops and features a contemporary silver fashion buckle. Available sizes include: Small (30-32), Medium (34-36), Large (38-40), XL (42-44) and 2XL(46-48).